Michael Caine Leading Sci-Fi "Henry V"
If you've always felt that Shakespeare maybe lacked a little something, like, say, lasers, here comes a film adaptation of "Henry V" that should put a bounce in your step. Michael Caine is leading a fine cast for action/sci-fi version of the Bard's play about Prince Hal, tweeted Production Weekly (by way of The Playlist). In an age of apocalypse, in a land without a leader, a dissolute prince finds redemption when he crushes a rebellion that threatens to destroy his father's kingdom. But upon assuming the throne himself, he immediately engineers a war against a neighboring state to slake his lust for power. Joining Caine will be Ray Winstone, Gerard Depardieu, Derek Jacobi and former soccer goon-turned action "star" Vinnie Jones in the film being written by Andrew Hislop, Steve Wilkinson, Michael Anderson--who is also directing-- and produced by Steve Wilkinson, Stephen Evans ("The Madness of King George," "Henry V" (1989)) Nigel Wooll ("GI Jane"). Though it has a rather fetching poster, the film is far from shooting, and may yet never happen, but its fun to talk about it. And before you all go rolling your eyes at Shakespeare With Laser Beams!, let's remember that Sir Ian McKellan's pre-WW II -era "Richard III" was pretty damn good, and then ask yourself, Are tanks any dumber than lasers? 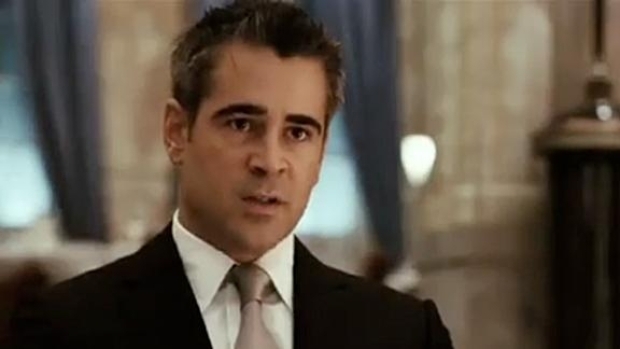 Colin Farrell plays an ex-con fresh out of prison who's hired as a bodyguard for a beautiful movie star, played by Keira Knightley, only to have a mob boss, played by Ray Winstone, try to force him back into a life of crime. The film was written and directed by William Monahan, Oscar-winning writer of "The Departed."